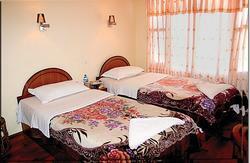 We are a Tibetan Family run hotel founded in 1992. 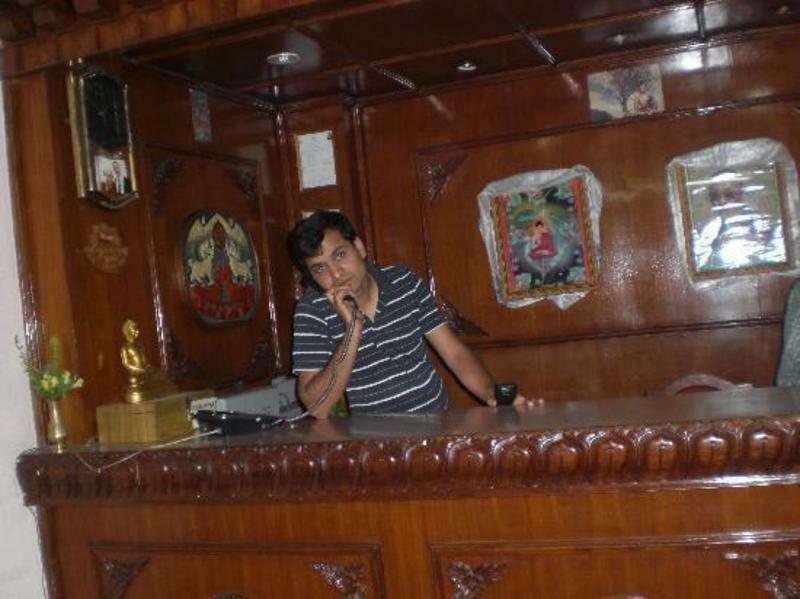 We are proud that for the last 15 years we have made our guest always feel at home with our warm friendly Tibetan and Nepali hospitality. We are always ready to assist you and answer your every inquiry from meditation classes to rafting and trekking adventures. RoomWe are located at a quite nook in the heart of Thamel, Kathmandu, Nepal, a spot where you find exquisite taste of food, the colorful handicrafts shops and just about everything all in a few minutes walk from us. Get a perspective view of the natural beauty of surrounding Kathmandu Valley from our exotic roof top garden. 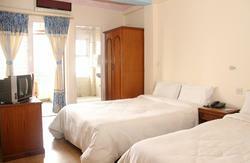 The rooms are tastefully decorated ar reasonable prices. 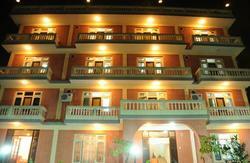 Here you will always find the best of Tibetan and Nepali hospitality and we assure you of a peaceful night sleep. Recommended by major guide books such as Lonely Planet and Guide du Routard for more than 10 years. 'Un etablissment legerement en retrait de la cieuse de la rue, donc calme, tenu par une delicieuse familie tibetaine. Ici, tout le monde est serviable et prevenant. Enfin des gens souriants! Les 30 chambres, avec salle de bains et w.-c., sont impeccables. Rapport qualite-prix exceptional. Une adressa a ne pas manquer' - Guide du Routard.